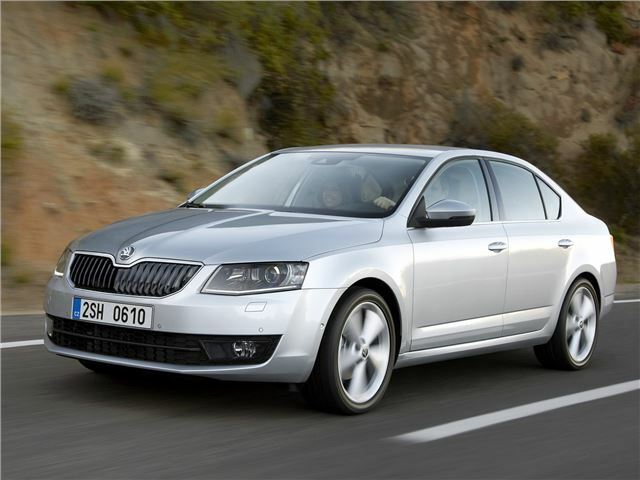 The new Skoda Octavia goes on sale in the UK from 16 March, with prices starting at £15,990. There will be three trim levels and four engine options - ranging between 105PS and 150PS, with the cleanest model averaging a claimed 74.3mpg with CO2 of 99g/km. The upcoming Greenline will improve that to 89g/km and 83mpg. Starting with the petrol options, both are turbocharged TSIs, with the 1.2 TSI with 105PS averaging an official 57.7mpg and 114g/km. The 1.4 TSI 140PS is usefully more powerful (and has more torque with 250Nm), but there's little pay-off at the pumps, with 53.3mpg and 121g/km. Both are available with an optional seven-speed DSG gearbox, as well as the standard six-speed manuals. The diesels are both TDI direct injection units. The entry-level 1.6 TDI 105PS is fitted with start-stop and a five-speed manual transmission with official fuel consumption of 74.3mpg and CO2 of 99g/km. It develops the same 250Nm as the 1.4 TSI petrol, but lower down the rev range at 1500-2750rpm. 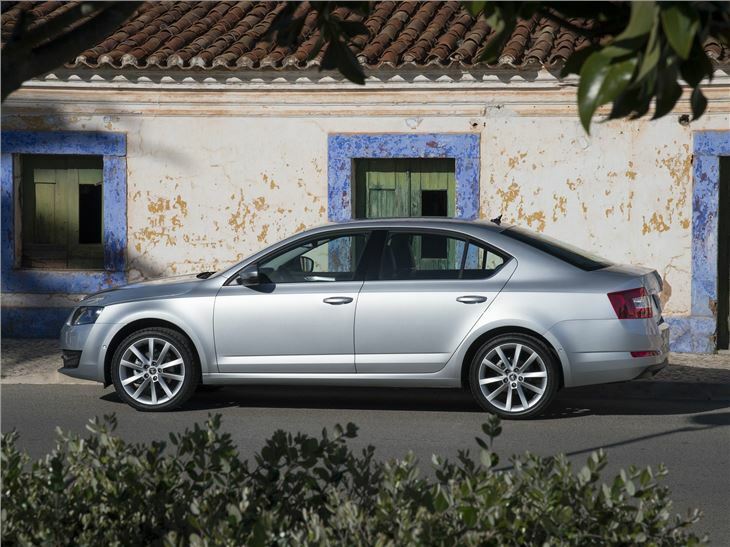 The 2.0 TDI delivers 68.2mpg and 106g/km (119g/km for DSG models). These engines, combined with a lower (by 102kg) kerb weight, means the new Octavia is quicker, cleaner and more economical across the range than the outgoing model. 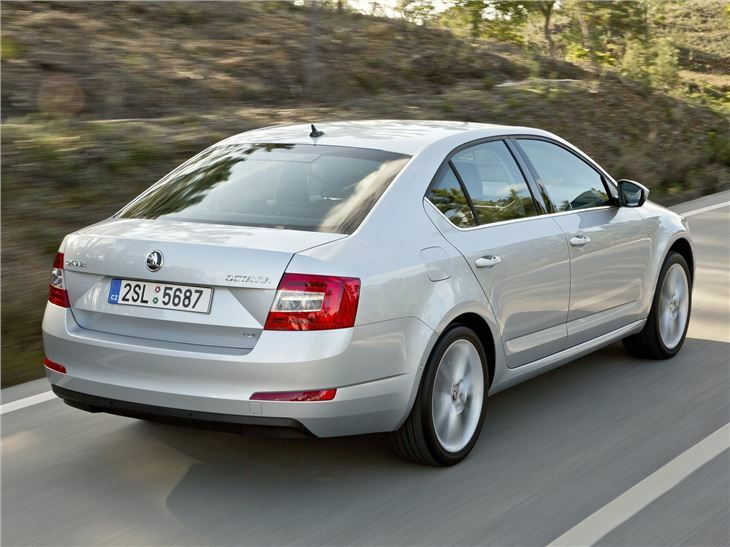 Big advances in safety performance are being claimed by Skoda - and the standard equipment tally is comprehensive. It's topped by the Multi-Collision Brake system, which automatically slows the vehicle after a detected collision – even if the driver is not on the brakes. Also making its debut in a Skoda is the Front Assistant - an radar-guided automatic braking system in the event of an accident ahead. 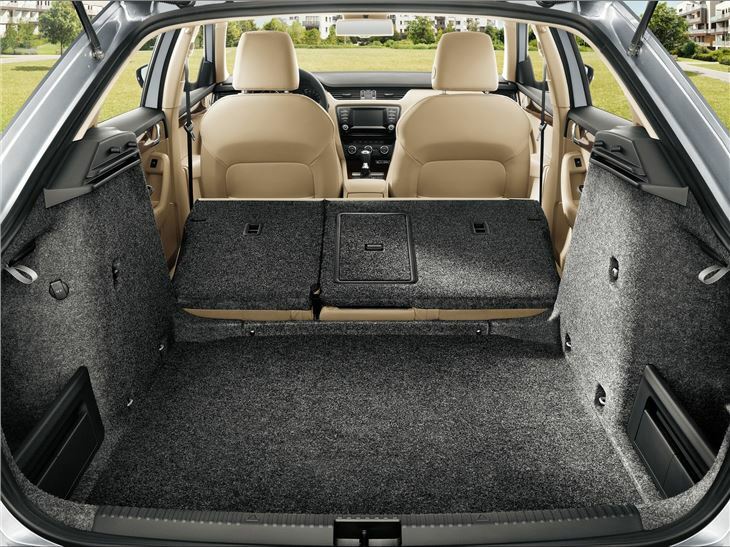 Driver fatigue, seatbelt pre-tightening and lane assistance systems are already available. Finally, up to nine airbags (seven as standard on all models) and three-point safety belts are fitted. 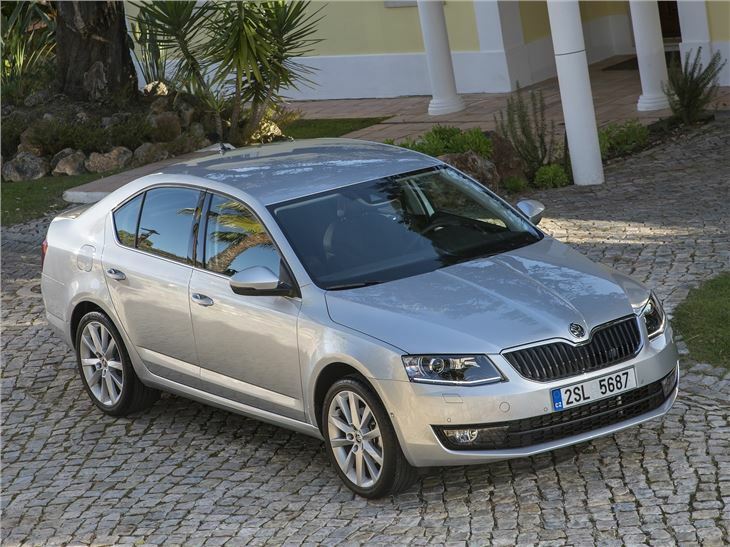 Knee and rear side airbags are available for the first time in an Octavia. Equipment includes Adaptive Cruise Assistant, Automatic Parking Assistant and Driving Mode Selection. As well as this, an electric panoramic sliding/tilting sunroof and KESSY (Keyless-Entry-Start-and-Exit-System), the automatic door-and-ignition-lock system, are options.